Warren J. Klaus was born and raised in Sheboygan, Wisconsin. He and his wife Karen L. Klaus have been married for 32+ years and have three adult children. He lives in New Berlin, Wisconsin with his wife and two dogs. Warren obtained his Bachelor of Science Degree in history and political science from the University of Wisconsin-Milwaukee in 1965, and was awarded his Juris Doctor Degree from Marquette University Law School in 1969. 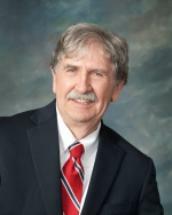 Warren began his 39+ year law career at Allstate Insurance Company as an Associate Defense House Counsel. He later joined the law firm of Walther & Halling, Milwaukee, where he practiced in the areas of personal injury and estate administration. Warren also practiced at the John Mclario Law Firm, Menomonee Falls, where he focused on plaintiff’s personal injury and estate planning. In 1983 Warren and Attorney Carol Law opened their offices of Law and Klaus in Hales Corners and enjoyed a rewarding partnership for a number of years. When Attorney Law moved to Hudson Wisconsin with her family, Warren stayed in Hales Corners and established the Law Offices of Klaus and Meyers with Attorney Michael Meyers. Attorney Meyers later left to focus on real estate law and Warren continued practicing as a sole practitioner. In 2008, Warren’s daughter, Brittany A. Klaus Crothers graduated from Marquette University Law School and joined Warren in the general and varied practice of law. Warren practices primarily in the areas of personal injury, estate planning, including T-19 and small business matters. Warren’s clients are diverse and he welcomes all legal matters. Warren and Karen also have a second home in Marinette County, just outside of Crivitz and Lakewood, where Warren regularly meets with clients from the northern part of the state. In 2008, Karen L. Klaus also joined the firm and is the receptionist and legal assistant.